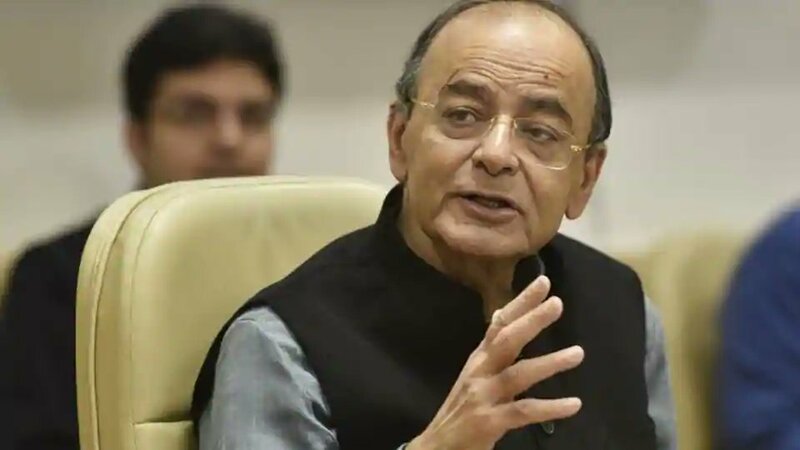 NewDelhi : Senior BJP leader and Finance Minister Arun Jaitley today attacked the Mahagathbandhan (Grand Alliance) saying that it is a non-alliance, it has no leader, no programme and no meeting of minds. But they have one agenda-to remove Modi. He further said that, federalism requires that regional aspirations and representations find place in governance. But a larger national interest requires that India must have a national party with an electoral and legislative base which can become nucleus of such a coalition. Over the last several months, India was exhausted with the talk of a ‘Mahagathbandhan’. The rationale was that Prime Minister Shri Narendra Modi and the BJP were very strong and could not be challenged by individual party. The socio-economic profile of India has changed. Indians judge politicians by their merit and capacity and no longer by any traditional loyalty. We were promised a ‘coalition of rivals’ because India had to be saved. We were promised a common minimum agenda. Each leader amongst the aspirant Prime Ministers wanted to become a ‘sutradhar’ of the alliance. He/ she would periodically organise shows in his/ her State and invite the entire bandwagon. Presently when nominations for the first two phases are over and those for the third phase are about to happen, let us review the situation. The above states account for almost half of the total parliamentary constituencies. In the other half, stretching from Maharashtra to Punjab, which includes Himachal Pradesh, Uttarakhand, Haryana, Madhya Pradesh, Chhattisgarh, Rajasthan and Gujarat, the political winds are not exactly friendly to the Congress. Already multiple candidates have made their desire clear to take over the mantle of the leadership. Each one of them is interested to see the strength of the other party’s contender depleting. Each one of them has high hopes in a chaotic and highly hung Parliament. He/ she believes that only in a chaotic situation he/ she has a chance. The past track record of such governments in terms of policy, longevity and growth has to be borne in mind. Their track record of corruption is equally well-known. Federalism requires that regional aspirations and representations find place in governance. But a larger national interest requires that India must have a national party with an electoral and legislative base which can become nucleus of such a coalition. The coalition under Late Shri Atal Bihari Vajpayee was held by both the personality of the leader and the 183 MPs of the BJP. Similarly, the BJP had an absolute majority in the last Lok Sabha but it still formed a coalition. It is only because of the size of the BJP and clarity on leadership in the last coalition that a successful government was run under Prime Minister Modi. Today you have no ‘gathbandhan’ let alone ‘mahagathbandhan’. It is a ‘non-bandhan’. You have no leader, no programme, no meeting of minds. Stability, which is paramount, is a major casualty. The only thing in common is negative agenda ‘’remove one man’. It is a recipe for chaos.